Snake Lantern. 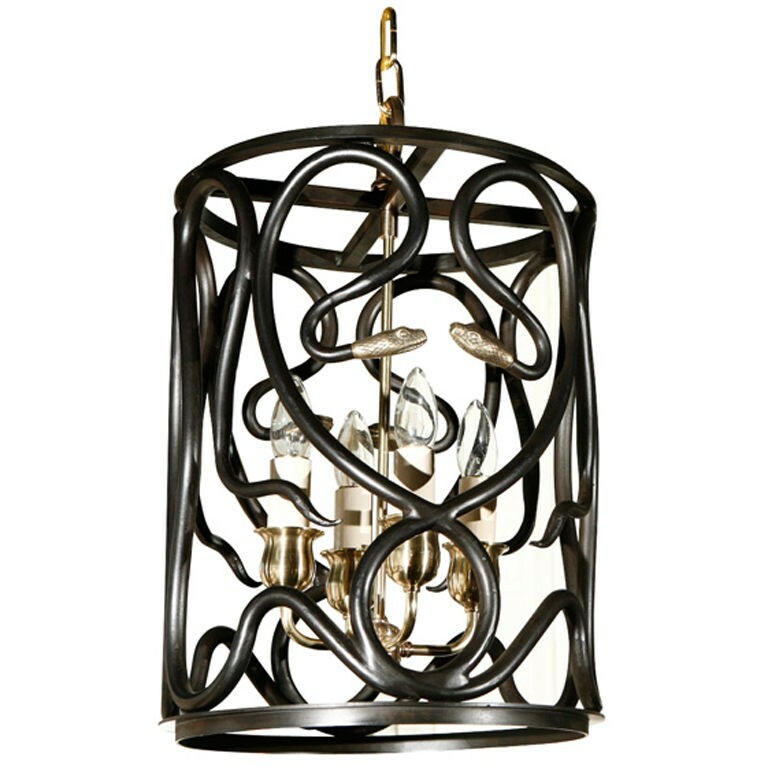 Shown in steel frame with bronze patina and brass. 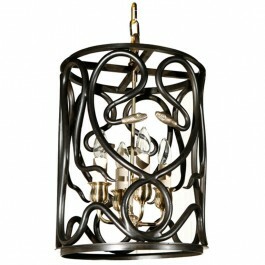 Fixture height: As shown 18.25" plus top loop of 3.5"